To call Katowice Bus Station a 'bus station' is a bit of a misnomer. In reality, it's little more than a small tin shed. Inside you’ll find a small waiting room (open 06:00 - 20:00) and all departures (odjazdy) and arrival times (przyjazdy) noted up on the board (most tickets have to be purchased directly from bus drivers). Outside the few departure lanes offer very little shelter from the elements but there is a drink and snacks shack, and a 24hr bathroom. Located in the heart of town next to the new Supersam shopping mall, to get your bearing after arrival take a swift left turn at ul. Mickiewicza and within three minutes you'll find yourself staring at the principal main street, ul. Stawowa. You'll have to go further onto the Rynek to find the nearest tourist information point, however. While it doesn't offer tickets or phone cards (buy those at most kiosks), it does offer maps and advice and there is also internet available. For info on local city buses see Public Transport. Had booked polskibus online to go to Krakow from Katowice. It was supposed to depart at 2:35. It is now 4:22 and FINALLY a bus arrived. Spent nearly two hours waiting outside in the rain because the station is not really a station at all. There are about ten seats inside a ramshackle building with help desks. The help desk for Polskibus was useless- we were told that the bus was delayed but no reason why and we were told ''one more hour''. For an international bus station- it is woeful and like something you would expect to see in a run down village. 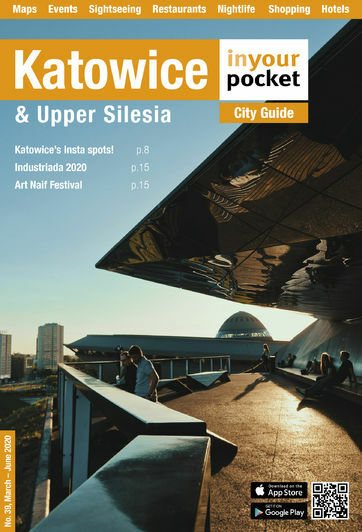 Do your homework before using Polskibus or any service from Katowice bus station. Be prepared for long waits, much frustration and getting soaked if it''s raining because the waiting area is non existent.